In the self-employed world, the “J-word” is blasphemy. But recently I signed the dotted line and committed myself to a job: full-time employment as a teacher with Monument Academy. It may seem sudden, but I made the decision to go back into teaching about a year ago. If you’re a follower of my work, you’re likely surprised. For 14 years I have been “living the dream”: raising a family, traveling the country and even the world, and enjoying a lot of fruit for my labor. There was an evolution of thought that I’d like to share with you. A process, really, that I’ve been hammering away for the past few years. I bet you will find some helpful direction yourself as I explain. I’d like to share that with you over the next few days. 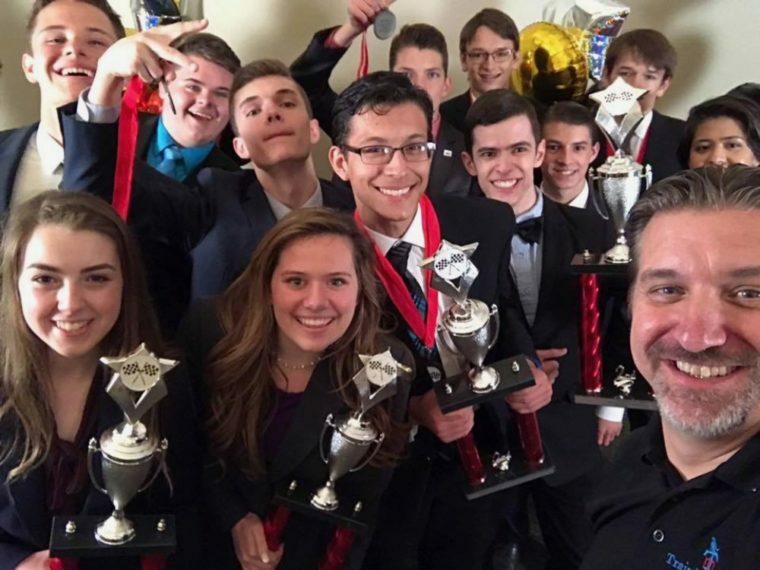 I help parents provide the best resources possible for their kids who are competing in the daunting-yet-rewarding world of speech and debate. At least this is what I’ve been saying for 20-some years. I’ve been publishing academic source material for students who compete in various forensic leagues (NSDA, NCFCA, Stoa, etc.). Parents typically don’t know how to help their kids excel in giving speeches and winning debates, but they can do so with my sourcebooks and downloads. Students who buy into Monument often succeed in competition, even becoming champions. Three years ago I took on a mammoth project: transferring my publishing from traditional media to a membership model. You see, leagues have various rules and different debate resolutions. My team of writers work hard to create source material for students to succeed in various competitive events. I used to layout, edit, and publish physical books to sell and ship. I had digital copies, too, that parents would buy for their kids. It was quite the system. But scaling this system was nearly impossible. I catered to Stoa (the league my family participates), as well as to NCFCA (many old friends still compete there), but NSDA was stretching me to the limit. This is the largest league in the nation, twenty-times larger than the homeschool leagues put together, and I very much wanted — no, needed — to expand into that league and make a respectable impact. Enter memberships. I began envisioning a robust online system that would provide source material for kids via an online membership. I birthed MonumentMembers.com where students can log in every Monday morning and download source material for all sorts of events. I have about 50 authors contributing to the content. I didn’t fully realize how liberating such a system would be. From the perspective of parents (my primary customers), they can register their kid to receive weekly, consistent downloads that keep them sharp. Teachers and coaches, too, appreciate how they can depend on material that frees them up from creating so much from scratch. And competitors, wow! They get all that they got in a book, and then much more! The advantages for me personally were not fully realized until I got deep into it. I was able to spread out my editorial cycle. Rather than cramming everything into a summer, I now pace my publishing throughout the year. Everything from paying royalties to budgeting expenditures to pricing and marketing — all of it has been simplified. Perhaps most advantageous of all has been the power of the routine. Like a steady heartbeat, I pump out source material to speakers and debaters that keep them strong throughout their year of competition. I actually have much more time now. I’ve even gotten a bit bored. Which led to health issues. I’ll get more into that later this week. But suffice it to say for now: I love the idea of teaching full-time. I’m very much looking forward to teaching at Monument Academy. More next time, my friend. Thanks for reading-in.